While it can be tempting to start a medical botany journey with multiple-ingredient blends of dietary supplements and teas, there are advantages to starting slow. For one, it’s easier to pinpoint specific positive effects of specific herbs ingested. It’s also safer, as there’s no danger of negative interactions between different elements of the remedy. Below is a short list of plants commonly used to soothe, relax and induce sleep; alone and in blends. Taken alone, the suggestions below often carry their own in terms of aroma and flavor; those that don’t may have other particularities—such as potency or even traditional use—that justify its standalone use, though they may benefit greatly from a dash of honey or stevia. Of course, almost all of the plants enumerated below do otherwise work well with other plants. It’s all a matter of preference. And it bears repeating: Always consult your doctor before trying these remedies—particularly if they are to be administered to children, women who are pregnant or nursing, or those prone to liver problems. Just because something is natural doesn’t mean it’s automatically good for you. Lavender rose to prominence during the Victorian era; it was known as a favorite of the Queen, who encouraged its use. 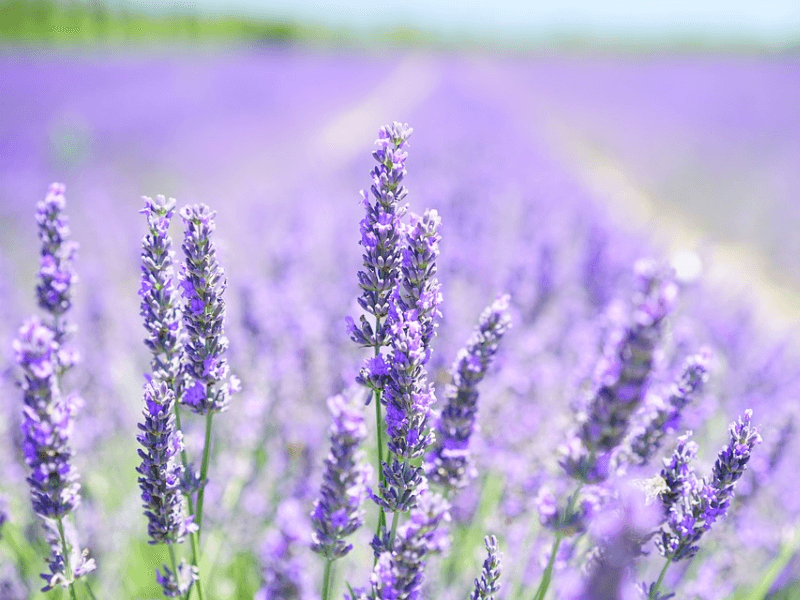 A permanent fixture of both aromatherapy and herbal medicine, a long record of human experiences and investigations support the general belief that Lavender has analgesic, sedative and other curative properties. Many studies focus on the aromatic side of lavender usage—and indeed, it’s more well-known for its scent than for its range of medicinal uses—but there are studies to support relaxation and anti-anxiety benefits of ingestion, as well. On its own, the best way to consume Lavender is by drinking a cup or tea or dosing with a few drops of tincture; although the most common way to use it is still very dependent on the sense of smell. The taste is very much like the armona—slightly minty, mild, light and sweet. Although Lavender does not grow abundantly in North America, its use is so widespread that you can easily find many forms of it online or at a neighborhood supermarket. Popular pairings with Lavender include Chamomile, Lemon Balm, Linden, Valerian Root, and various Earl Grey and Rose blends. Because the Lavender is in the mint family, it also goes well with Peppermint. Occasionally multiple-ingredient teas including Lavender add in other soothing plants that are not commonly paired with it, like Passionflower. Lavender is also an ingredient in some formulated dietary supplements, like ORB Sleep Complex. 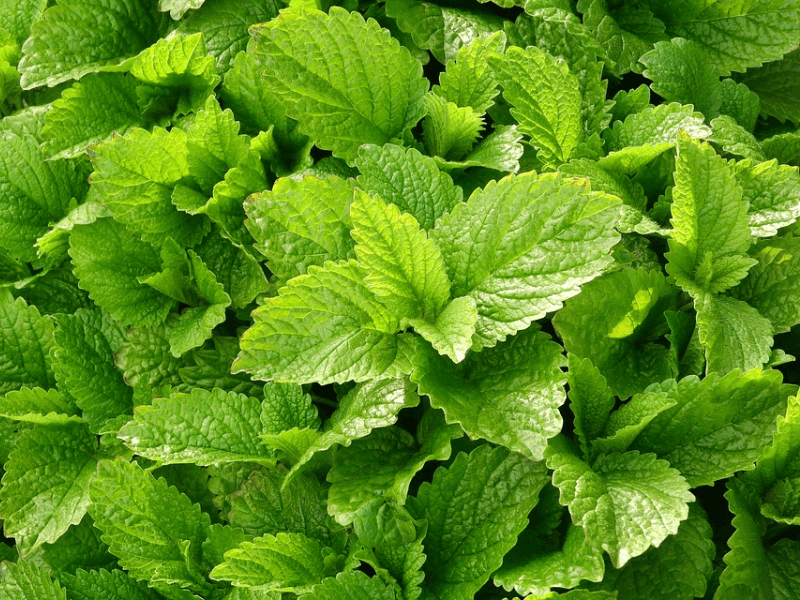 First of all, it’s important to note that Lemon Balm is different from likewise edible, fragrant and medicinal Lemongrass (Cymbopogon); the names can be confusing, though the plants don’t look alike and originate from different parts of the globe. Lemon Balm—like Hawthorn, Motherwort, Passionflower, St. John’s Wort and more—has been a fixture in medical botany for centuries, and is a common folk remedy for a long list of ailments. Like lavender, it’s widely used in aromatherapy and as an edible ingredient. However, it’s best known as a stress and anxiety reducer, sleep aid, and digestive; as these studies show. Traditionally, it’s also been used as a tonic, antispasmodic, and even a topical antibacterial agent and insect repellant. It’s also been studied as a remedy for menstrual ailments. On its own, the best way to consume Lemon Balm is to make yourself a cup of tea. The clean, cozy citrus scent of this aromatic tea is buoyed by the delicate hint of minty freshness; unlike many other medicinal herbs, the taste is pleasant. It’s also easy to find Lemon Balm capsules, tinctures and salves—online and locally, as it grows in North America. Pairings with Lemon Balm are not as popular as taking it by itself; if Lemon Balm is to be the main ingredient, that is. Typically it is added to multiple-ingredient sleep-inducing blends—containing combinations of some of these: Chamomile, Hawthorn, Motherwort, Passionflower, Valerian and more—to not only support the medicinal effect but also add a nice flavor and aroma that other plants don’t naturally have. Lemon Balm is also an ingredient in some formulated dietary supplements; like Jarrow Formulas Sleep Optimizer, Nested Naturals LUNA, Source Naturals NightRest, and Vitafusion Melatonin. Along with this specific species, another one—Largeleaf Linden (Tilia platyphyllos)—can be used medicinally, though it’s less preferred. Though its rich history as part of traditional and self-administered folk medicine in many regions has been the focus of several studies—in part due to concerns of cardiotoxicity linked to long term and frequent ingestion—Linden’s efficacy as a sleep aid has not. 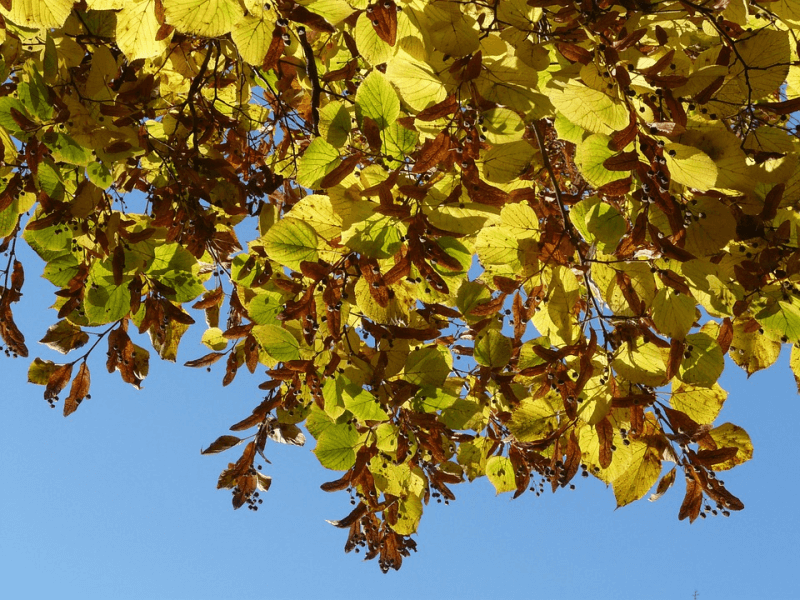 However, this ornamental tree’s flowers and leaves remain a popular and calming domestic cure for cold, cough, fever and flu; as it is known as an antioxidant, antispasmodic, expectorant and sedative that also encourages perspiration. Not as popular as most soothing herbs, Linden is nevertheless a common ingredient in dietary supplements and as a standalone tea. Though not native to North America, it is known to grow in northeastern parts of the US and Canada. On its own, the best way to consume Linden is to make yourself a cup of tea. Both Linden leaves and flowers can be dried for this purpose, and the result is delicately sweet and aromatic tea. Because it is so popular as a tea, it is less commonly found in extract form—liquid or dry. Popular pairings with Linden include Chamomile, Lemon Balm, and Peppermint. Similar to Lemon Balm, it is often added to multiple-ingredient blends; but very popular as a single herb tea due to its pleasant flavor and aroma. Few plants match the reputation of Vervain. Linked to stories divine and supernatural—it appears in both druidic and wiccan traditions, and legend tells of its use in stanching the wounds of Jesus Christ after he was removed from the cross—Vervain is nevertheless also well-known for its uses as a medicinal and soporific plant. Although popular in many cultures as a cure for a variety of ailments, a 2016 study confirms the best of its restorative and sleep-inducing properties; supporting its documented use as a remedy for strain and stress, and its anticonvulsant, anxiolytic and sedative nature. Less common in the mainstream is Vervain’s use as an analgesic, antibacterial, depurative, diaphoretic, diuretic and all-around tonic; which makes it useful against fevers, headaches and other minor pains and infections. 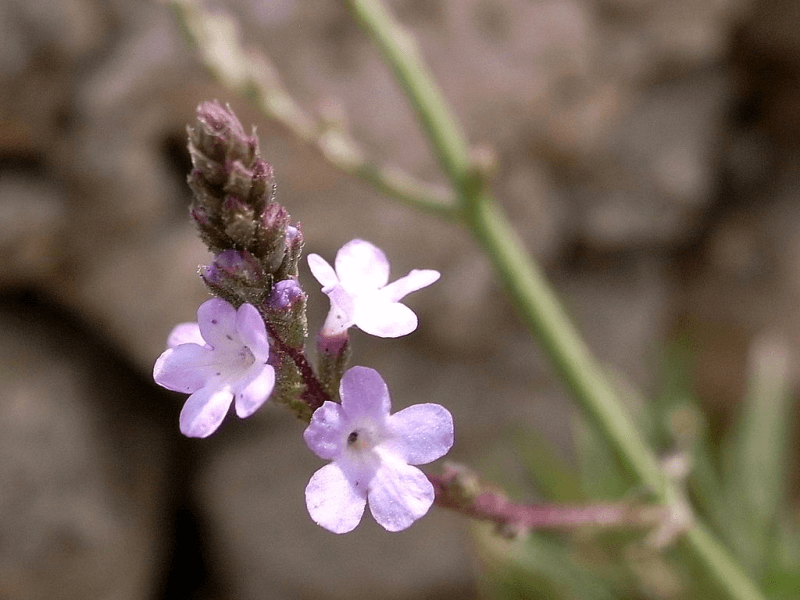 Like American Skullcap—and indeed, many other herbs that help with menstrual pain—Vervain should not be taken if pregnant, as it may cause miscarriages. Also worth noting that this species of Vervain shares a nickname—Blue Vervain—with American Vervain (Verbena hastata), a native North American plant in the same family but with different medicinal uses. On its own, the best way to consume Vervain is to make yourself a cup of tea. It has a decidedly bitter taste and no real aromatic tone; which makes it a good base on which to build a personal tea blend. If not so inclined to experiment, though, honey should suffice. You can also find it as an extract, in tincture and encapsulated powder form. Popular pairings with Vervain typically go down one of two paths: to enhance flavor or to add medicinal value. Of the former, common choices includes berry, citrus and mint blends. Of the latter, most of the usual suspects: American Skullcap, Chamomile, Lavender, Lemon Balm, Passionflower, St. John’s Wort. There is little to cling to in terms of scientific observation when it comes to Wild Lettuce, other than explorations into its possible toxicity. It is legal to cultivate, purchase and own in the US—though it doesn’t grow in many States, having been introduced to only a handful, like California and Alabama—but is primarily thought of as a sedative and mild hypnotic and not very much used in medical botany. A brief recreational use trend during the 1970s in the US may have to do with this, too. However, Wild Lettuce was used by the ancient Greeks and Egyptians for conflicting purposes—anaphrodisiac and aphrodisiac, respectively—and was later known to physicians during the 19th century as an mild opium substitute at a time when opium was thought to be medicinal. Though said to be effective against sleeplessness and restlessness, the lack of studies to support this must dictate more caution when it comes to its use. 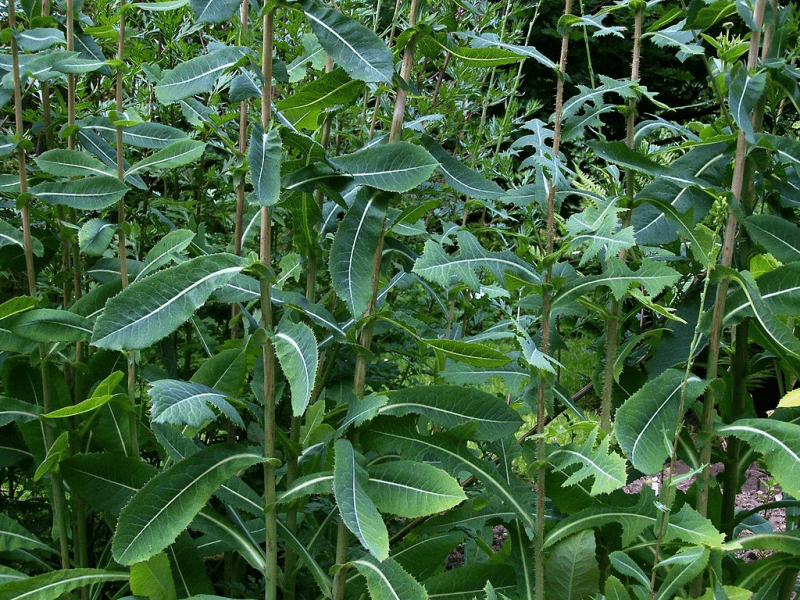 More than most herbal supplements, be sure to consult your doctor before trying Wild Lettuce. On its own, the best way to consume Wild Lettuce is to make yourself a cup of tea. It is the best way to control the dosage; Wild Lettuce can be brewed weak or strong, and a cupful of liquid doesn’t have to be finished if not needed. Even with the supervision of an herbalist or physician, it never hurts to be cautious. Wild Lettuce extract is also available in tincture and encapsulated powder form, with the former being more common. It can also be smoked, though if not part of a blend it is quite bitter. Pairings with Wild Lettuce are rare due to its lack of mainstream appeal, though it does find itself an ingredient in some combination dietary supplements and extracts. Noteworthy are its tincture pairings with potent sleep aids like Kava and Valerian Root.